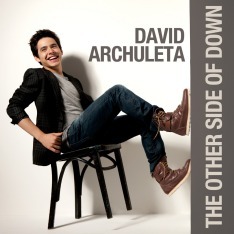 A Girl Can Dream I know all of you David Archuleta fans will appreciate this photo. I enjoy decorating my dining table for all the seasons and holidays, and I often take photos of the table. When I read minja’s “RSVP about house concerts” and pikepss’ post about hoping for a new Valentine greeting, I started to dream about my Valentine’s table. Imagining David sitting there! In my house! 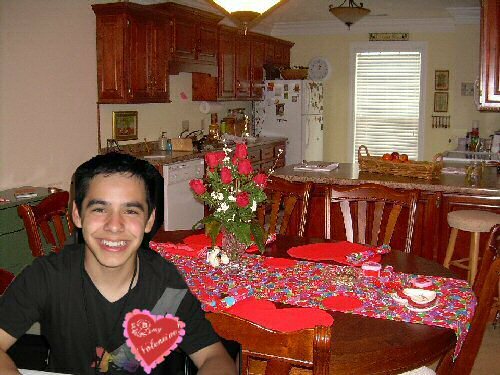 Photo of this week is Virtual David Archuleta in my house! Did you miss last week’s Photo of the Week? This Post has earned 2 Buzzes. 3cota, I loved your virtual photo of David surprising you with a Valentine’s visit! He looks so happy! Is that a honeybee on his shirt? topazjazz, Thanks for your comment and I’m so happy that you visited dabuzzing and found my post. I do love putting David’s pictures everywhere! And you just gave me a good idea. We need to send David some honeybee things. Don’t you think?